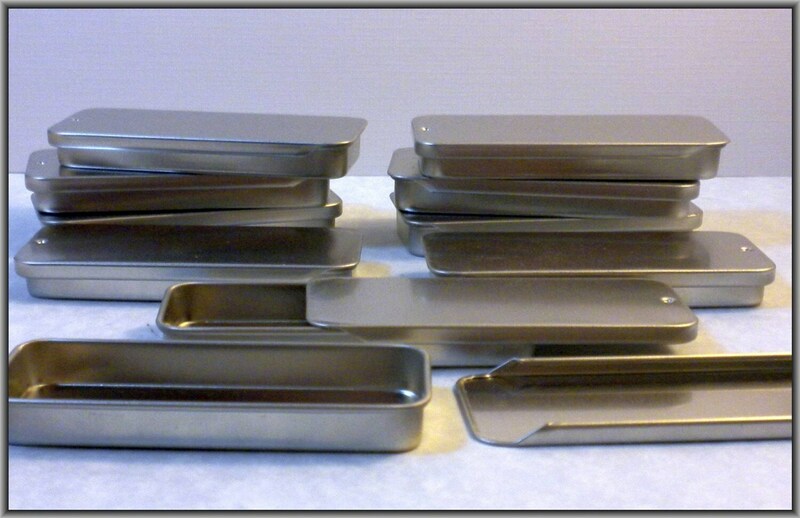 These 10 slider tins are the slightly larger 3.11 x 1.38 x .39 inches (79 mm x 35 mm x 10 mm). They easily hold three 1" circle magnets. 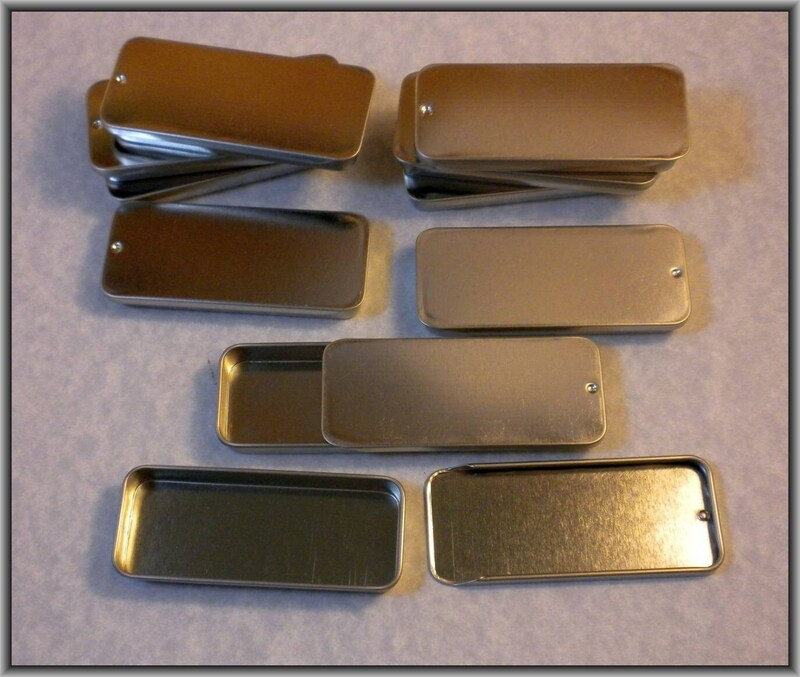 Or you can use them to hold pendants, scrabble tiles, earrings, mini sewing kits, or anything else you can think of! You can decorate the top and/or put your company's label on it. You could even do a mini-mosaic on the top! Magnets will stick to these. 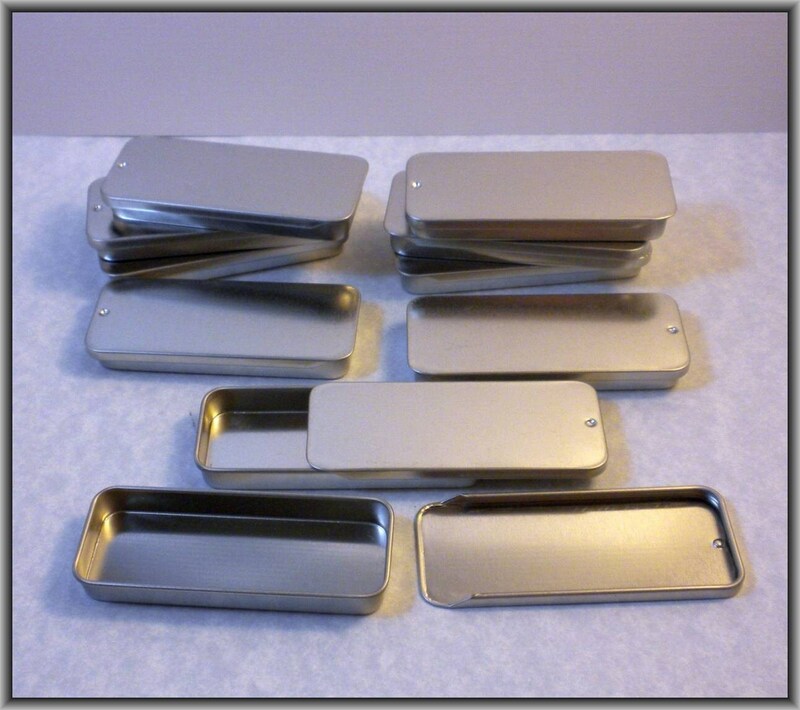 These tins each hold 1/2 fl oz. I have other listings for other quantities as well. Please feel free to contact me with any questions or if you need a different quantity. 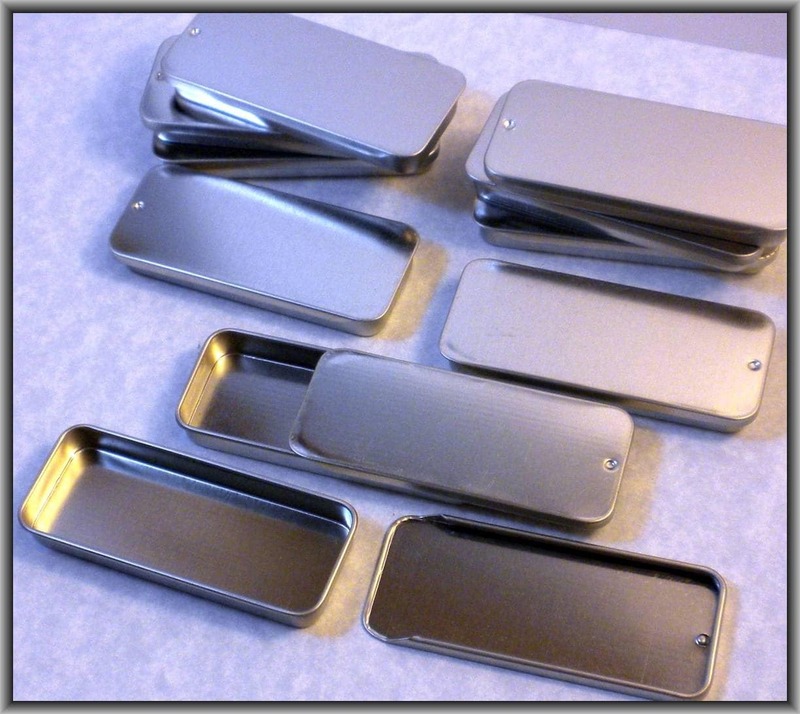 Great tins for crafting needs. These are great! I put some of my bobby pins in one of them to keep in my purse. There was a mix-up with my order, but Risa went above and beyond to correct it. Thanks to her excellent customer service and quality product, she has earned a repeat customer. Thank you!